Just contact us to discuss prices and schedules in your area! 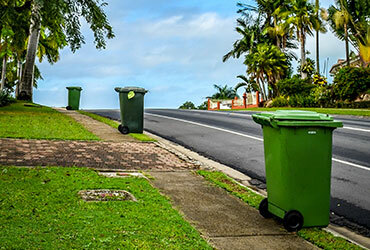 Deluxe Wheelie Wash offers a complete garbage bin cleaning service which cleans, sanitises and deodorises using environmentally responsible products and processes to a growing list of clients in and around Mackay, Queensland. Waste Chutes, Waste Bin Areas, Toilets, Kitty Litter, Dog Kennels, Shoes, School Bags and Much More. 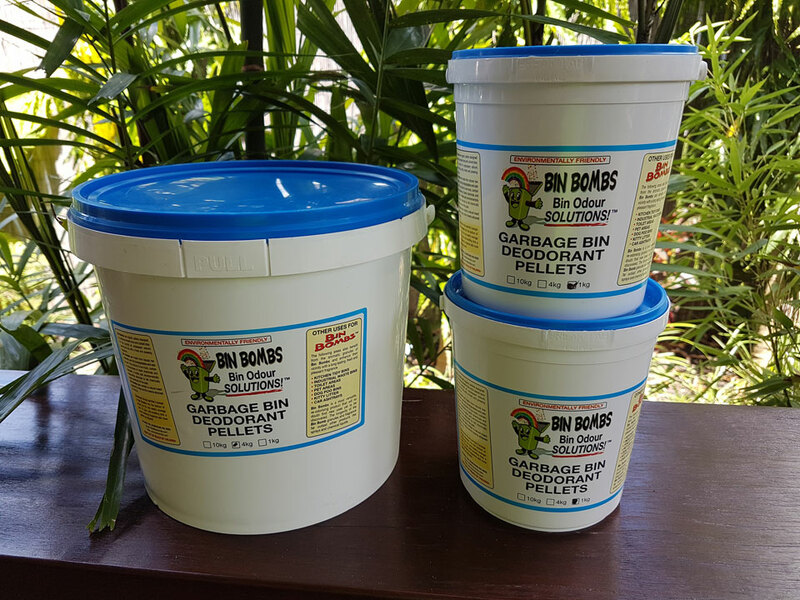 BIN BOMBS is a new, 100% natural product, designed to replace the offensive stench of garbage bins and other smelly areas with a very pleasant smelling natural aroma, it also repels insects and other unwanted vermin. Bio-degradable 100% natural granules infused with a unique pleasant smelling re-odorant. Contains natural fly and insect repellent (also repels other vermin such as mice & rats). Effectively absorbs and controls unpleasant odours. Easy to use, just sprinkle two scoops into your bin once a week when emptied. 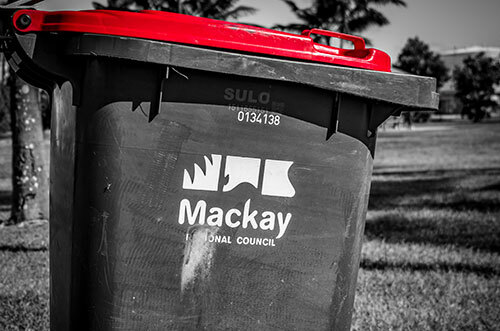 1kg Tub can last up to 20 weeks (treating one bin). Very effective on large industrial bins which are difficult to clean. Contact us to purchase your bin pellets tub available in 3 sizes. Or alternatively let us do the dirty work for you and add the bin bomb service to your regular clean for just $2 a bin. Call 0437 906 678 for more information. As you are probably well aware an unclean bin can be the most unhygienic thing in the home. 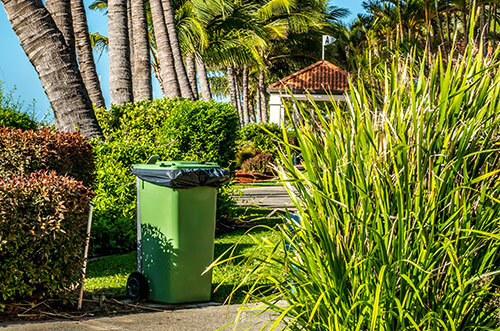 Dirty bins, especially in our warm climate, are a breeding ground for illness causing germs and bacteria not to mention the attraction of flies, ants, rodents and spiders which all pose their individual problems. Having your bins cleaned on a regular basis can eliminate all of these problems. We base our service on providing our customers with a cost effective, professional solution on a reliable and hassle-free basis. 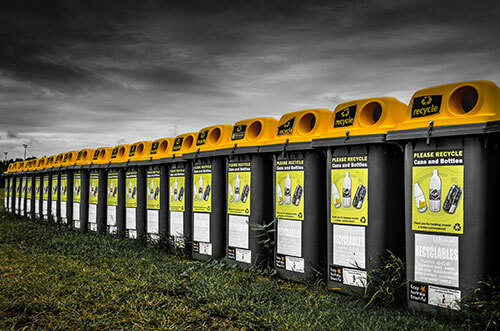 Our unique wheelie bin cleaning process is a professional solution to having your bins are cleaned, sanitised and deodorised, without getting your hands dirty. 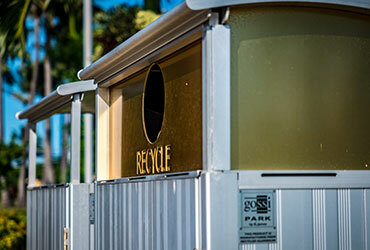 We arrive on the same day as your normal garbage collection and clean your bins quickly yet thoroughly with high pressure water which is captured, filtered and recycled. This, coupled with the use of natural, biodegradable products produces amazing results. You get a clean, fresh-smelling and completely sanitised bin every time, just the thing to ensure you maintain a safer, healthier home environment. All businesses have a legal duty of care to ensure the health, safety and wellbeing of employees and visitors whilst on their premises. They also have a legal and ethical responsibility to the environment. Did you know that it is illegal for waste water from the cleaning of bins to enter our storm water system? We provide a solution to your bin hygiene problems and help you to meet your Occupational Health, Safety and Environmental requirements by providing a regular, professional, cost effective bin cleaning service where your bins cleaned, sanitised and deodorised, without getting your hands dirty. We can also accommodate your larger four wheeled plastic bins up to 1100 litres. We are happy to inspect your premises, provide you with a quote and invoice your business for these essential cleaning services as agreed. You get clean, fresh-smelling and completely sanitised bins every time, just the thing to ensure you maintain a safer, healthier work environment. Harrup Park has been using Deluxe Wheelie Wash since the business commenced operation. Prior to us using this bin washing service our bin area was constantly over run with fly’s and the smell was overwhelming. These issues have now stopped since we started using Deluxe Wheelie Wash on a weekly basis and the bins are always sparkling clean. I would highly recommend Chris and his Deluxe Wheelie Wash services. 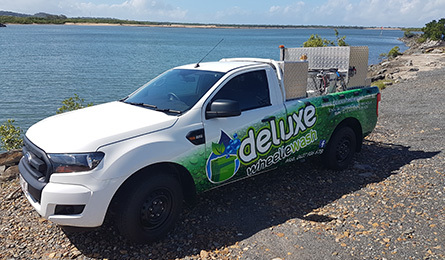 Deluxe Wheelie Wash is dedicated to providing a reliable, professional and environmentally friendly bin cleaning service to customers in and around Mackay for a price they can afford. I am so happy with this service that I have booked and paid for my son’s bins to be cleaned on the same frequency. Thank you so much for the wonderful service. Thanks Deluxe Wheelie wash, my bins have never looked (or smelled) better. Highly recommend this service. Cheap, efficient and environmentally friendly. Nice. Since we started using Deluxe Wheelie Wash. Our bins are always fresh and clean resulting in a definite reduction in the amount flies. We highly recommend this service. I have certainly been impressed by the overall service and the added health benefits to my family. We have even transferred the service to our new home in Rural View. 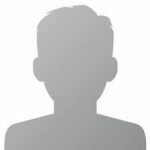 I previously used a bin cleaning service in Sydney but have been so impressed in comparison. Three months later my bin still looks and smells like it has never been used.